While there have been many research texts in the nursing literature, and nursing history is both taught in courses and of popular interest to practicing nurses, there has never been a hands-on text that describes the process of doing historical research in nursing. 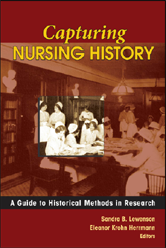 This book, contributed by well-known and respected nurse historians, provides the necessary direction, guidance, and examples needed to conduct historical research. It covers such topics as historiography, biographical research, using artifacts in historical research, doing archival and other data searches, doing international historical research, and locating funding sources for historical research. Case studies will be used throughout to illustrate various methods and describe how, why, when, and where historical research is used in nursing.Features of this edition:Provides direction and tools for conducting historical research. Describes types of research, including biographical and oral histories. Covers frameworks used to study historical events, such as social, political, feminist, intellectual, and cultural. Addresses contemporary issues such as preserving and storing digitalized and tape-recorded data and obtaining institutional review board (IRB) approval for research, and addressing ethical and legal issues in historical research. Includes case studies that provide a "how-to" guide to conducting research.